According to an extensive poll conducted by 3D Hubs Delta Wasp was voted as one of the best 3D printers for enthusiasts in 2017. The first place were taken by Makergear M2, with slightly higher score than Delta Wasp and LulzBot TAZ 5. The results were based on reviews of 441 printer models by 5,350 3D printer owners. Delta Wasp, an Italian make, was praised for its design and print quality and reliability. Other pros were precision, build volume and speed. Also this printer has a unique resurrection system. It allows continuing with the print from exactly the same spot you left it. This is handy in case of a power cut. There is also a Stop and Save option, if you decide to leave it for the night and then re-start in the morning. Delta Wasp is the 3D printer that can take different 3D filaments. Its closed chamber creates an environment to experiment with different materials. The build volume allows to create larger objects, which one may find limiting in other 3D printers. One of the cons was the price. It is nearly $800 more expensive than Makergear M2. This may be the reason for scoring a bit lower. Overall due to Delta Wasp’s features and its flexibility, it is one of the most recommended 3D printers for designers and those enthusiasts who are willing to experiment. 3D Hub community has also selected the best in other categories: Plug’n’Play, Budget, Kit/DIY and Resin. Zortrax M200 shared the first place with Cel Robox scoring 9.0 in Plug’n’Play category. Zortrax comes from Poland and it is highly regarded for its low print fail rate. It can literally print straight out of the box. Automated levelling and practically minimal efforts to set up make it one of the easiest to use machines. 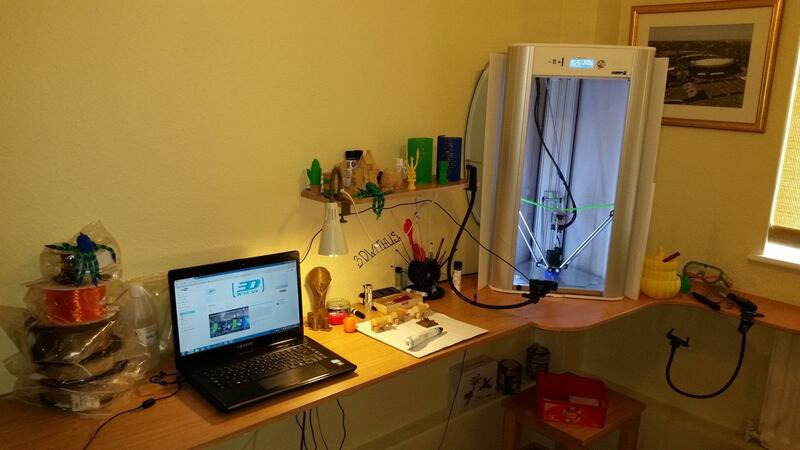 In the DIY category Rostock MAX Delta 3d Printer got the top marks together with Prusa Steel. Rostock MAX got famous after raising 777% of the target in their starter campaign in 2012. Its design is not only attractive but also helps to print with a higher speed and accurately, producing smoother curves than many other 3D printers.